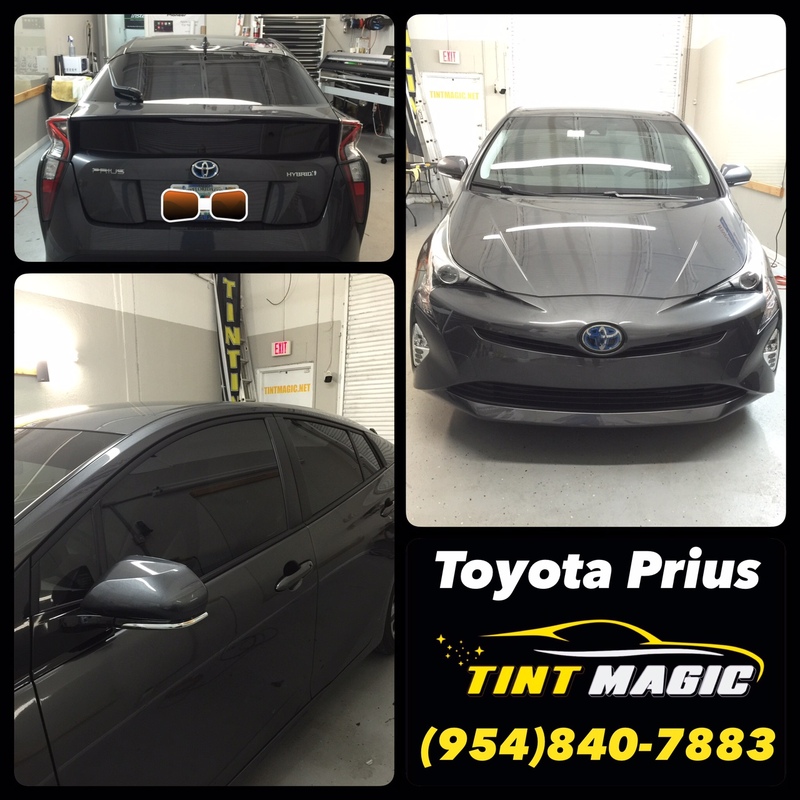 Toyota Prius at Tint Magic Window Tinting, we are located at 11344 Wiles Road, Coral Springs Fl 33076. Call us for a free estimate! (954)840-7883. The Toyota Prius has long been a polarizing vehicle. Enthusiasts don’t like it because it defined the car as an appliance, a way to get from A to B without any driving engagement. Of course, millions of people didn’t care about that in the slightest (Toyota’s sold 3.5 million Priuses), and simply appreciated the Prius because it let them get 45 or 50 miles to the gallon without a thought while encouraging a relaxed rate of progress – maddening to any driver stuck behind a slow-moving Prius on the road. After all these years, the Prius is as much a Rorschach test as it is a form or transportation. The new Prius is going to present the world with a conundrum: The fourth-generation hybrid is Toyota’s attempt to redefine what it means to be a Prius. If you’ve seen the new Prius, then you likely have an opinion about what it looks like. Initial response to the leaked spy photos was overwhelmingly negative. After spending some time with the new Prius in Japan and California recently, the look has grown on us. The back end is still the most difficult angle to appreciate, but walking up to a parking lot of these is not the dispiriting experience some of our readers might expect. And that’s before we tell you about how this thing drives. The main reason Toyota was able to introduce actual driving dynamics into the new Prius lies in the Toyota New Generation Architecture (TNGA). The car is wider now, which helps, and has a lower center of gravity. The MacPherson strut suspension up front remains the same as before, but in the back, Toyota has gone to a double wishbone setup. TNGA increases the stiffness by 60 percent compared to the third generation, which helps with overall rigidity. There’s an energy to cornering that simply didn’t exist before. It’s no longer the case that the car “drives like a Prius”, but true driving aficionados won’t fall in love with the way the new hybrid handles. There’s an energy to cornering that simply didn’t exist before. You’ve still got electronically controlled steering and a CVT, but the entire package now promises that, if you want to – and this remains a big if – you can be sprightly while still getting well over 50 miles per gallon. For that sort of fuel economy, the new Prius is honestly more fun than it should be. You can learn more about the promise of TNGA.